The first thing I wanted to say before I started this post was that I, in no way, claim to have absolutely perfect, air brushed skin. But it is a lot better than it was two years ago and today I wanted to share with you guys how I got rid of my acne and scarring. To begin I'll give you guys a quick history of my skin. I started getting spots when I was probably 13 or 14 years old and like anyone I hated them. Whilst the acne I had was never terrible and mostly only on my forehead it still caused me to have a major drop in self confidence. It got to the stage at fourteen years old that I was wearing a full layer of foundation, powder and bronzer every single day. And to be honest in hindsight, I think this probably made the problem worse. I also suffered a lot (perhaps more than from the actual spots) with acne scarring. Still to this day my skin scars really, really easily and I would get dark, flat marks on my forehead from where the spots had been. At this point I was trying various different skincare solutions but mainly stuck to using either the Clean and Clear daily scrub (which was so abrasive it's no wonder my skin was sucked of all moisture) or just the Simple facial wash. This I liked a lot and honestly still do. It kept a lot of my spots at bay and was so gentle. Because I have sensitive skin I'm always wary before trying a new product as they often make me break out. Now these were the two products that I would rate well as facial washes. Before I get onto the solutions I wanted to talk about some of the nightmare products I tried so hopefully you can avoid them. ThoughI suppose at this point I must acknowledge that everyones skin is different and what works for me might not work for you and vice versa. June 2014. I decided that whilst my skin was fairly okay, I wanted it to look better. Think flawless Kendall Jenner better. So whilst in Boots I picked up the Neutrogena pink grapefruit wash and moisturiser. I'd heard some good things about it and I love the smell of grapefruit so that seemed like a pretty good place to be. These products broke me out like I'd never broken out before. It was awful. I'd never really suffered from spots on my cheeks and suddenly I had these giant ones that went really deep under the skin. I didn't know what to do, I was so confused. Why oh why was this product that was supposed to fight breakouts literally turning me into a pizza?! I then tried using the freedom gel. I mean salicylic acid is good right?! Again, supposed to topically treat spots. But again, all it did was make the spots larger and it really dried them out. I was 17 and my confidence was at an all time low. I didn't know what to do, I almost considered going to a dermatologist it made me feel that low. But then I decided that maybe I should just go back to using a super gentle facial wash like Simple, and a light moisturiser and see how it went. After a few days my skin began gradually getting better. I was lucky that I went on holiday to Italy just as it was improving as I think the vitamin D really helped get my confidence back. For a long while after that I was scared to try anything different because what if the same thing happened again?! But I did branch out and now I'm going to explain how my skin improved to a state where I can now comfortable leave my house with just under eye concealer and a little powder on. Firstly, as I spoke about a little in my Micellar Waters Post, in August 2014 I switched up using face wipes for a gentle micellar water. In my opinion, makeup comes off a lot easier with these and you don't have to scrub at your skin as you often do with a wipe. In turn my sensitive skin was less irritated which caused less breakouts. 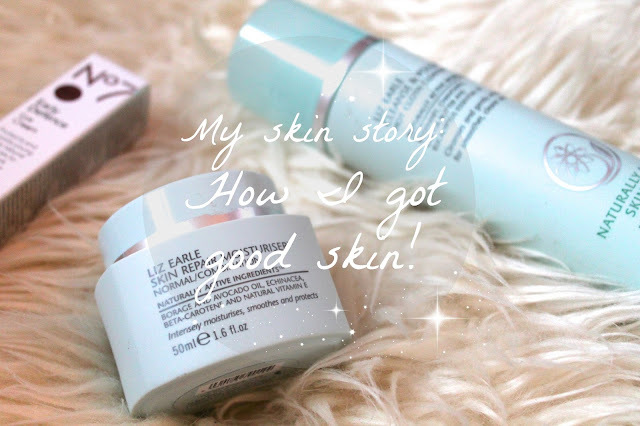 The next things I did was to start using Liz Earle products. I've spoken about these in my Everyday Skincare Routine post so I won't linger too much here. But they're amazing. Whilst I was still getting minor breakouts my skin seemed a lot healthier and happier. This in turn upped my self confidence causing me to block my pores less with foundations and concealers. In fact my skin has been at it's best ever since I stopped wearing liquid foundation back in July. Now this wasn't a decision I just made, it sort of came about by accident. As I'm sure a lot of you remember I spent a fair amount of time in Barbados having a very chill and relaxed holiday in July. Here, because I was on the beach, swimming etc, I wasn't wearing any makeup so my skin was able to breathe. 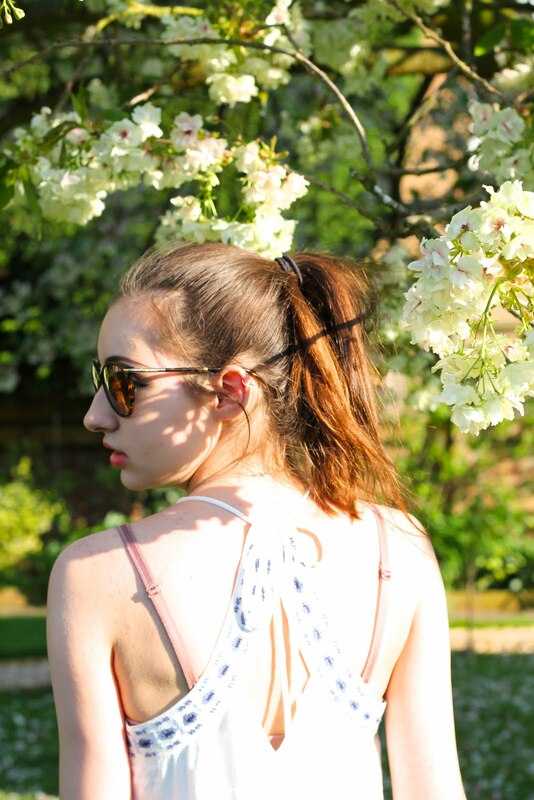 Even in the evenings it was so hot I just didn't want to wear it! And ever since then I haven't had the need for liquid foundations. 1 - Always take off your makeup before you go to bed. 2 - Always wash your face even if you weren't wearing any makeup. 3 - If your skin is unhappy, try a sensitive skincare brand - sometimes this helps better than the ones specifically designed for curbing breakouts. 5 - Try to limit the amount of foundation / concealer you wear. Okay guys, I hope you enjoyed my post! Have a wondrous Sunday, I will see you next time! Wow, I suffered from acne in middle school quite a bit but now its a lot better! A lot of people don't realize that harsh chemicals that are supposedly suppose to help your skin don't help at all! The tips you give are great! I'm guity of not taking my make up off at night sometimes. Thanks for sharing this! By the way love your blogs look!